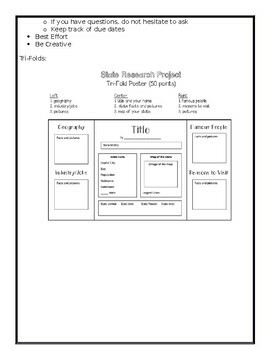 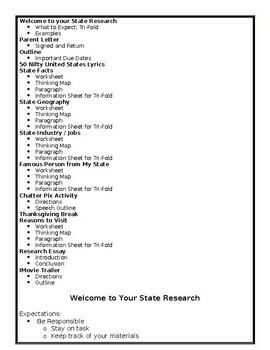 This editable document is a simple packet for students to follow as they research an prepare a state report and poster. 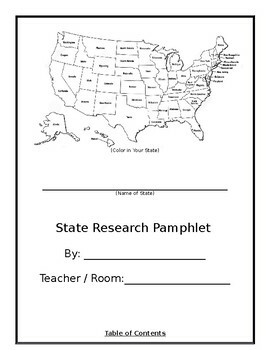 This includes student research pages for many topics including interesting facts, famous people, geography, and reasons to visit. 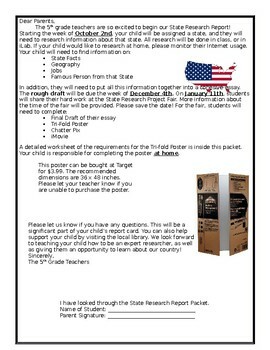 There is also a guide on how to properly create a state report poster, a sample outline, and parent letter.